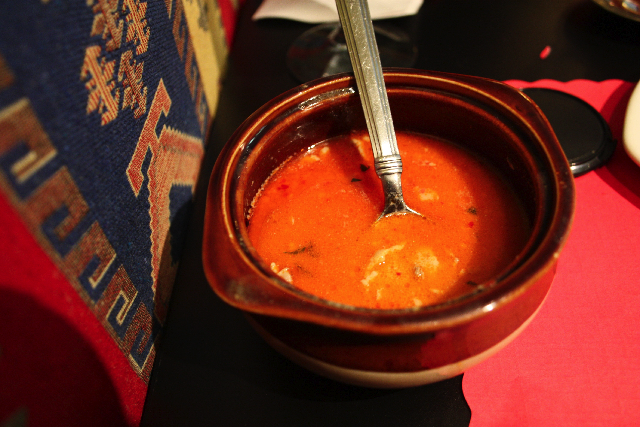 The Paca, a traditional Turkish village soup, is the perfect way to start your meal here as it is small enough to provide your taste-buds with a preview of the flavor profiles to come without actually filling you up too much. Smooth little chunks of lamb float in a delicious, slightly acidic – slightly garlicky tomato-based broth thickened with savory yogurt. I was particularly fond of this hot Turkish tapas, as the textures and flavors melded perfectly and left my palate in a state of warm comfort. 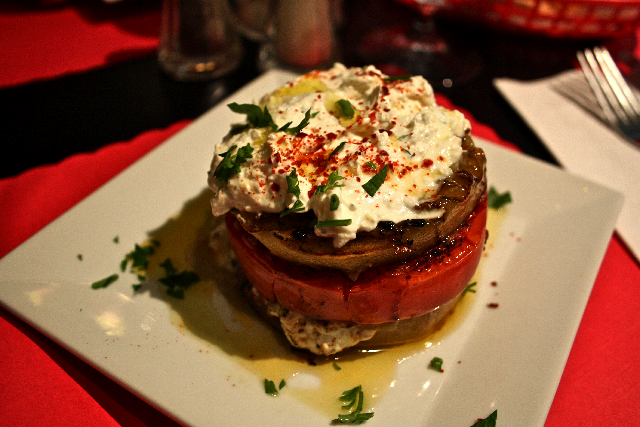 Two soft yet firm rounds of marinated, grill-charred eggplant sandwiching a thick round of grilled tomato, topped off with savory, creamy Turkish cheese, sprinkled with paprika. The flavors oozed together beautifully and made for incredibly fulfilling yet light mouthfuls of this dish. 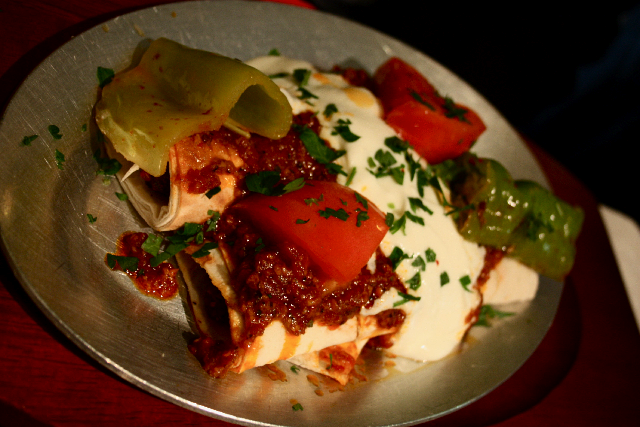 Savory ground lamb with roasted bell peppers and garlic wrapped in lavas bread and topped off with Turkish yogurt and chunky Turkish-spice seasoned tomato sauce. The bread was a tad bit dry but otherwise this was another delicious use of lamb. 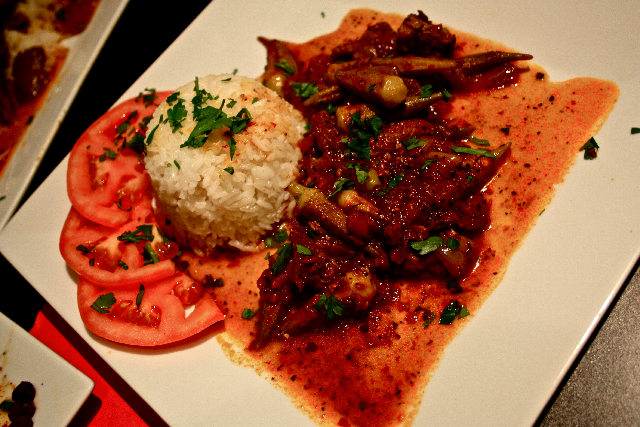 Thick, hearty lamb stew with chunks of onions and okra in a tomato broth, served over rice. A delicious use of lamb. The crunchy, earthy okra picked up the mineral-y flavor of the lamb and mixed perfectly with it. 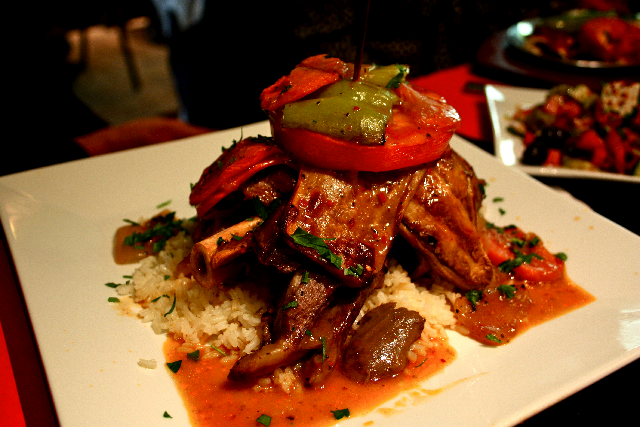 A colossal heap of beautifully tender steamed lamb shank cooked with onions, peppers and tomato, wrapped in thick slices of baked eggplant, served over rice. The waitressed told me this is one of those dishes you serve in Turkey when inviting over your boss (or any type of superior) and after just one bite I believed it and felt like one. And finally, the widely-reviewed dish, tales of which brought me to this tiny little impossible-to-be-seated-without-a-reservation Somerville ROOM (basically): the Sultan’s Delight. Hearty chunks of incredibly tender lamb sauteed with peppers and onions lying on a heap of the most incredibly flavorful, creamy char-smoked eggplant puree you can possibly imagine. 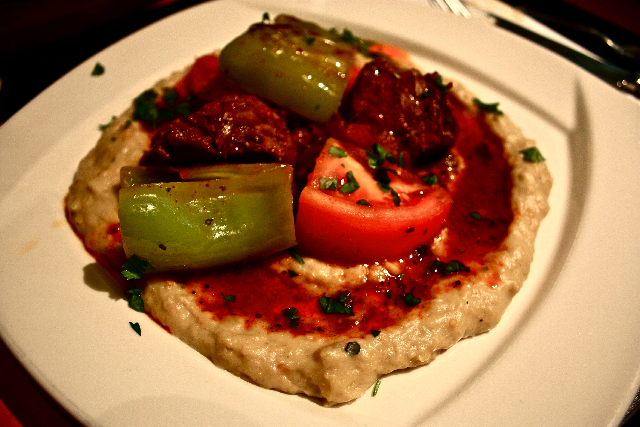 The sautee-oil, infused with tomato, Turkish spices and the earthy, mineral-y taste of the lamb cooked in it melted over the eggplant puree and provided an amazing mix of flavor. This is real home-cooking, the dish grandma makes when you visit her once a year, well if your grandma were Turkish.